One of the most common uses of cannabis is to assist in the treatment of insomnia and sleep disorders. 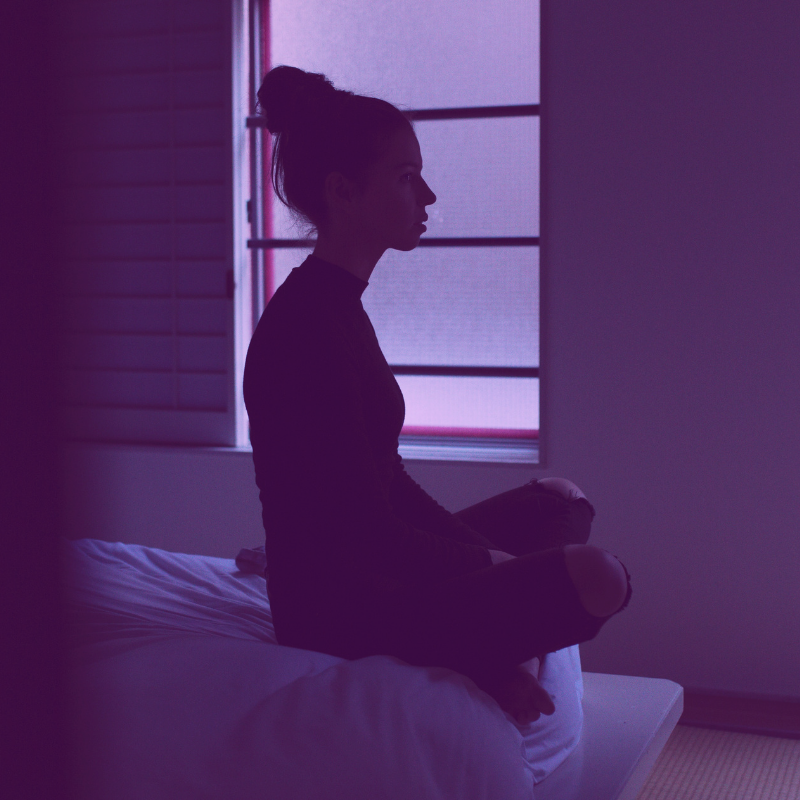 While most of us will experience insomnia at some point in our lives, it is often the symptom of another disorder such as PTSD or Parkinson’s Disease. For those who experience sleep difficulties on a regular basis, it can severely interfere with life activities. While research into cannabis’ effect on sleep is nowhere near sufficient, there is a reason to believe that CBD can help those who experience these symptoms. It is often THC that is linked with the sleepiness factor of cannabis. 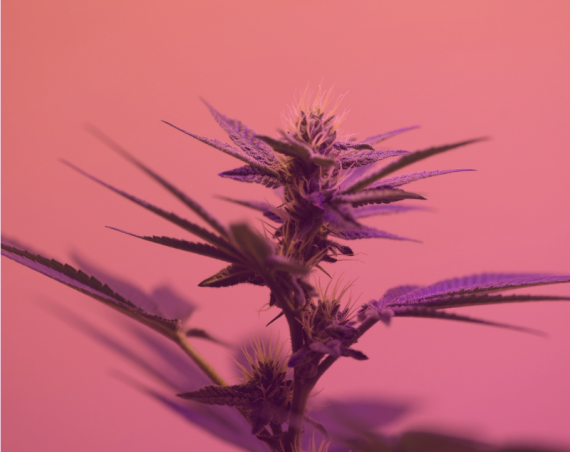 Interestingly, however, some research suggests that over a long period of time, this cannabinoid might actually interfere with natural circadian rhythms. CBD, on the other hand, works in more peripheral ways and may gently nudge a person into a more balanced sleep-wake cycle. Insomnia can be a very difficult symptom to manage for a lot of people. Many different factors can cause insomnia. For the most part, sleep medication induces drowsiness that can be felt well into the next day. But it doesn’t really target the cause of the issue. CBD is showing a lot of promise in tackling the underlying issue that causes insomnia, making it an extremely naturopathic way to tackle this mysterious symptom. Essentially, insomnia is the inability to fall asleep, the inability to stay asleep throughout the night or when sleep is particularly nonrestorative. Different medical professionals have different ways to define insomnia, and this causes some inconsistency in the way that we treat it. However, there is a common thread among many of the differing opinions. There is an underlying factor which disturbs the sleep/wake cycle. For some people, it is a mood disorder such as anxiety or depression. For others, it is something as simple as having a bad gut. In any case, insomnia almost never presents itself as a symptom all on its own. There is always some sort of daytime complaint when it comes to insomnia. If sleep is not restorative, then sufferers of insomnia can experience extreme fatigue during the daytime. This fatigue or discomfort can interfere with performance at work and even relationships. It can be completely debilitating to deal with insomnia over long periods of time. Different aspects of insomnia can often denote different issues. For example, in naturopathic practice, inability to fall asleep can be caused by anxiety or overthinking. On the other hand, inability to stay asleep throughout the night likely has something to do with digestive issues. Depending on exactly how the complaint presents itself will play a role in how the physician or naturopath chooses to deal with it. There are a number of different peripheral ways in which CBD can help to treat insomnia. We often associate THC with the sleepy factor, but CBD is much more promising when it comes to dealing with the real issue. Not only does CBD promote the circulation of a certain endogenous cannabinoid known to affect sleep, but it can treat many of the underlying causes of insomnia. Most importantly and interestingly, CBD at low doses can encourage daytime alertness and energy levels. This can work wonders for those who experience insomnia. Not only can it decrease the severity of fatigue felt after a bad sleep, but it can encourage performance during the day to promote tiredness at night time. To understand a little bit about how CBD works to treat insomnia, we need to talk about anandamide. It is the body’s very own cannabinoid and it plays a pivotal role in a number of functions including sleep/wake cycles, mood, and memory. When CBD is ingested, it inhibits the behaviour of a certain enzyme called FAAH. The role of this enzyme is to break down anandamide and decrease levels in the body. Decreased degradation of anandamide naturally leads to higher levels in the blood. The effects of this are far-reaching, from enhanced mood and decreased anxiety to an improvement in sleep latency (how long it takes to fall asleep) and quality. This particular aspect of CBD’s behavior is huge in targeting the underlying causes of insomnia rather than simply the symptoms. As we mentioned, there are a number of different things that can cause insomnia. CBD can help to target the cause rather than insomnia itself, possibly leading to long-term relief from this complaint. Let’s have a look at a few of the main causes. Anxiety is a huge cause of insomnia for millions of Americans. The inability to fall asleep is often caused by stress, anxiety and overthinking. In other articles, we’ve talked about how CBD works to decrease the severity of anxiety, and the way in which it works to enhance anandamide levels is one of them. Decreasing anxiety often leads to decreased sleep latency and effectively, a more restful sleep. Neurological conditions such as Parkinson’s disease are often accompanied by insomnia. The anti-inflammatory properties of CBD play a huge role in managing the symptoms associated with neurological conditions. CBD is also known to encourage neurogenesis (the production of new nerve cells). This can contribute to a relief from symptoms associated with neurological conditions. Gastrointestinal problems are probably the second most common cause of insomnia. However, insomnia related to gut issues usually has nothing to do with sleep latency. Rather, it is the inability to stay asleep throughout the night that is the main complaint. Again, the anti-inflammatory quality of CBD can work wonders to manage the kind of gut issues that can lead to insomnia. Conditions such as Crohn’s and Irritable Bowel Syndrome are often linked with huge amounts of inflammation in the gut. Managing this can lead to an improvement in the ability to stay asleep throughout the night. Finally, chronic pain is another huge gameplayer in insomnia. It’s not easy to fall asleep when the body is rife with pain. CBD is a very common treatment for common pain, especially because it can provide relief very fast. CBD does this by interacting with the parts of the brain that deal with pain sensations. Depending on what is causing insomnia, a patient might experience more relief from one kind of CBD product over another. If you tried CBD already what are you using it for? People use in search of better sleep, others to help manage their anxiety. There are many reasons to use CBD, and many ways to take it. You need to choose a specific CBD product specifically manufactured for insomnia if you want to have the maximum effects. Let’s have a look at a few different CBD products and which cases of insomnia they are most suitable for. Of all CBD products, CBD oil is the most common on the shelf. Use CBD oil every day to treat symptoms of anxiety and depression. This can increase performance throughout the day, promoting a healthier sleep at night. It can also help to quieten the mind and other disturbing factors of anxiety that can interfere with a good night’s sleep. CBD lotions and salves are the perfect answer to pain associated with arthritis or sore muscles. Just apply the salve directly to the site of the pain, and you will feel the decrease in the pain sensation and inflammation. Those who experience insomnia because of muscular pain or discomfort in the body can use CBD lotions or salves to increase their quality of sleep. Applied immediately before sleep, it can relax the muscles and assist a person into a restful sleep. CBD vape juice is the best way to deal with chronic pain. Vaping CBD takes effect almost immediately so in cases where the pain is an emergency, it is best to vape CBD. For those whose sleep is compromised because of chronic pain, it is best to vape CBD. Finally, we have CBD edibles. In actual fact, a lot of CBD is lost to the digestive system when it is consumed as an edible. CBD is less bioavailable if it has to pass through the gastrointestinal tract. This is not a problem for those who have insomnia related to gut issues. So long as the CBD passes through the gastrointestinal tract, it is not essential for it to enter the bloodstream. Anti-inflammatory properties of CBD will arrive at the site of the discomfort such as the stomach or intestine. Daily CBD edibles should help to decrease inflammation in the gut and hopefully lead to a better sleep. It is really important to know that at normal doses, CBD does not make you sleepy. It does not work the same way as conventional pharmaceutical medicine for insomnia because it is not necessarily a sedative. Do not expect CBD to work as a sedative. Rather, you can use CBD as a supplement to encourage the body to work in ways that promote health and balance, including a healthy circadian rhythm. Pharmaceutical sleep aids can often elicit a drowsy response, making them immediate in their action on insomnia. CBD should not be consumed with these kinds of expectations. You can treat CBD like a herbal remedy that can affect the user over the long term in an extremely positive way. It is a naturopathic way to target the cause of insomnia, rather than the symptom alone.